(MoneyWatch) The 2013 Employee Benefit Research Institute Retirement Confidence Survey is out and the news is sobering: 28 percent of Americans have no confidence they will have enough money to retire comfortably -- the highest level in the study's 23-year history. And 21 percent are not too confident. It's no wonder that nearly half of those surveyed feel uncertain, since 57 percent of workers surveyed reported less than $25,000 in total household savings and investments, excluding their homes. Even more frightening is the fact that only about half of those surveyed said they were sure they could come up with $2,000 if an unexpected need were to arise in the next month. Despite being concerned about retirement, only 46 percent report they and/or their spouse have tried to calculate how much they need to save to reach their retirement goals. Unfortunately, if they had tried, they may have reached a similar conclusion. Last year, Fidelity Investments developed a quick way to calculate retirement needs, suggesting that retirement savers should have accumulated about 1 times their salary by age 35, 3 times by 45, 5 times by 55 and 8 times by the time they retire at age 67. Those numbers are distant goals for many Americans. The disconnect between these targets and actual results may be attributable to some of the assumptions that Fidelity makes. The big one is that employees will begin working at age 25, and will work and save continuously until 67. The Great Recession blew a hole through that one, with millions of Americans experiencing joblessness, reducing their retirement contributions and/or dipping into their retirement savings. 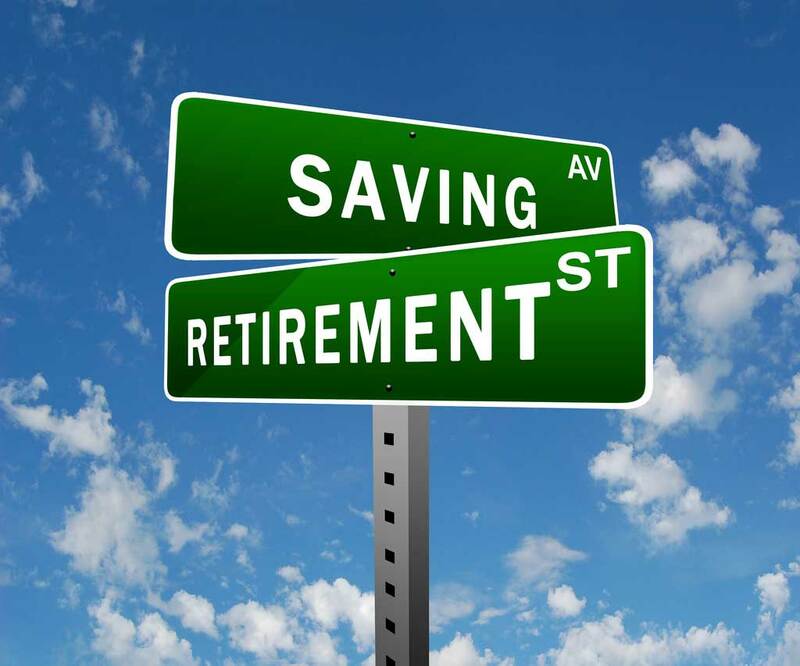 As a result, many of those surveyed by EBRI are planning to retire at an older age. In 1991, just 11 percent of workers expected to retire after age 65. In 2013, that number more than tripled to 36 percent. Additionally, the percentage of workers expecting to retire before age 65 is now half what it was two decades ago: Down from 50 percent in 1991 to 23 percent in 2013. -- Put your 401(k) plan on autopilot: Many plans offer the opportunity to automatically increase annual contributions. Have the plan add one or two percent each year in order to maximize your contributions over time. Additionally, plans also can be set to auto-rebalance your allocation on a periodic basis (quarterly, biannually or annually). Using this feature can help take emotions out of the investment process. -- Diversify your holdings: You know that you shouldn't put too many eggs in one basket. But some participants don't realize how much overlap they may have among their retirement funds. It's far more important to diversify among asset classes (stocks, bonds, commodities and cash) than in the total number of funds. If your company stock is an option in your plan, limit your exposure to 5 percent of your holdings. -- Choose index funds, when possible: One way to increase your return without risk is to reduce the cost of investing. If your plan offers index funds, you may be able to save for retirement at a fraction of the cost of managed funds. If your plan is filled with expensive funds, gather your co-workers and lobby your boss to add low-cost index funds to your plan. -- Beware pre-retirement withdrawals: During the recession, many were forced to take withdrawals from their retirement accounts to survive. Recently, HelloWallet found that more than one in four workers still dip into retirement funds to fund everything from mortgages to credit cards and other bills. While the IRS does allow for hardship withdrawals in certain instances, pulling money from retirement accounts should be a last resort, due to potential fees and tax implications.